For one/two-semester, sophomore/junior-level courses in Classical Mechanics. Designed to bridge the gap between introductory college physics and advanced mechanics which will give a strong basis for future work in applied and pure mechanics, especially advanced physics such as quantum mechanics, statistical mechanics and optics, this text provides a complete account of the classical mechanics at an intermediate level-with an option of using the state-of-the-art computer-based technology-e.g., Mathcad-in calculations, plots and graphs. Featuring state-of-the-art computer based technology throughout, this comprehensive book on classical mechanics bridges the gap between introductory physics and quantum mechanics, statistical mechanics and optics--giving readers a strong basis for their work in applied and pure sciences.Introduces Mathcad, using it in to do mathematical calculations, solve problems, make plots and graphs, and generally provide more in-depth coverage and a better understanding of physics. Pays special attention to such topics of modern interest as nonlinear oscillators, central force motion, collisions in CMCS, and horizontal wind circulation. For physicists and astronomers. 2. 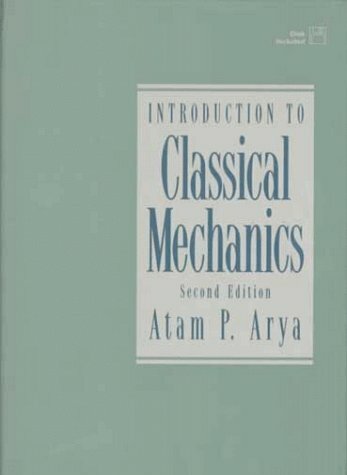 Introduction to Classical Mechanics (2nd Edition) [Paperback] Arya, Atam P.